LET'S GO FLY A PLANE! | jeni a. LET'S GO FLY A PLANE! 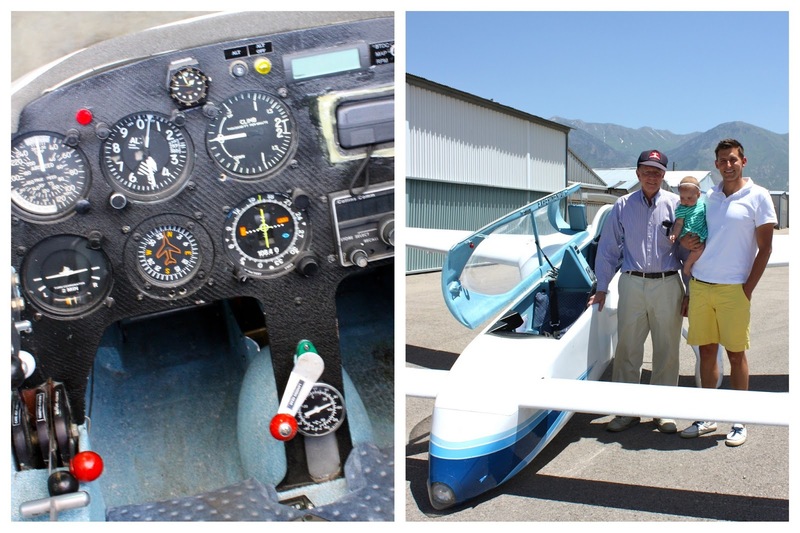 We have a friend, Mr. Andrew, with a fun little plane, and on Thursday he took me for a spin. Had it not been for the blustery day, Ryan would have enjoyed a ride, too, but the wind picked up just as Mr. Andrew and I finished. Good thing he flew a few months ago - better yet, Mr. Andrew said he'll take us again soon (!!). It was a thrill to fly in a tinier plane! This was my first flight in an "Experimental" - a self-built plane - and I loved it. With the whole sky around and the patchy valley below, I was a light, free bird. When we landed Mr. Andrew pulled out his old instructional manual from '76 and explained the ins-and-outs of his project. Flying his own plane was a dream come true for him, and after building it for 3.5 years, his beauty first flew in 1980 and has been soaring ever since. Isn't that inspiring? Chase a dream and make it fly! In essence that's what Mr. Andrew shared with us as he gave us a taste of what he loves - his white and blue, experimental plane. Chase a dream and make it fly. That is totally resonating with me lately. Kudos on your un-photoshopped pics. Their color is stunning. Au naturale.